Clothes usually have buttons and strings as decorations but often these accouterments are useless. The Shikisai t-shirts are cleverly designed to include bits of string, a pen, a strap and other dangling things that serve a purpose. They actually act as extensions of the t-shirt’s simple graphics. 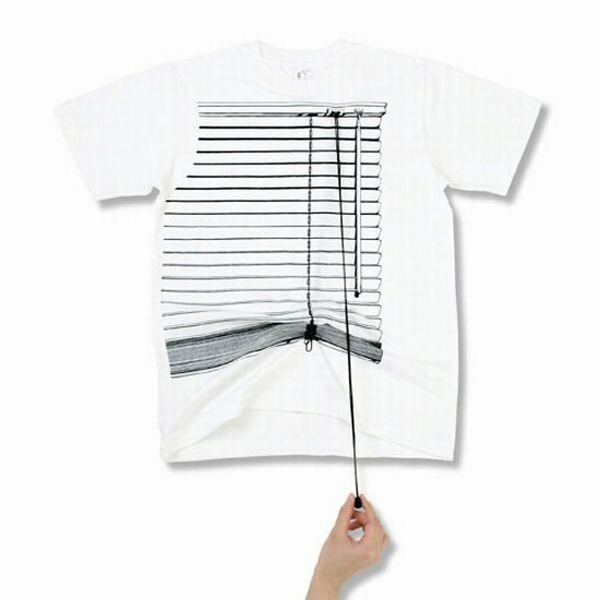 On one of the Shikisai t-shirts, a black and white drawing - a string dangles from the area the drawstrings are in, and when pulled, the tee inches up provocatively. Click through the gallery to see more of these fun tees.